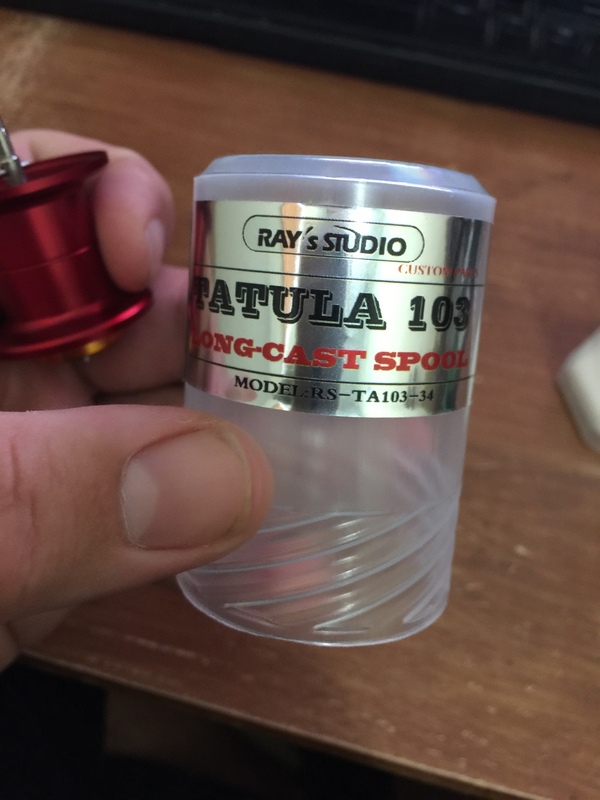 A while ago I had bought a DIY Ray's Studio spool for my Tatula CT. That spool was a Microcast which is very shallow. Meant for some more finesse type fishing. Probably a little more shallow than I expected. 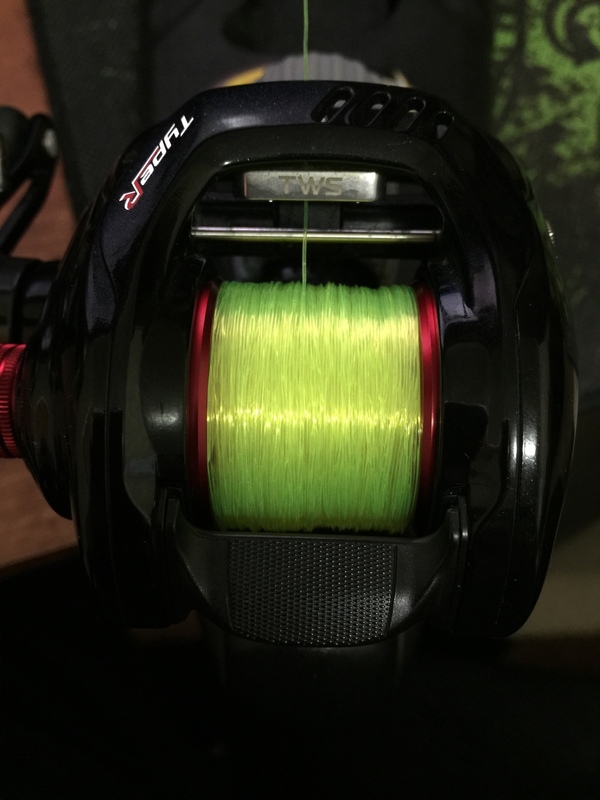 About 2 months ago I decided to put braid on all my reels and a couple of weeks ago decided to get another spool for the Tatula Type R. This time I made sure the spool was more like the SV spool as far as shallowness. They had a Tatula 103 Long Cast spool which seemed like a good size. Today the spool came in and it does look a lot more like the SV spool which also happens to be as deep as the Tatula 103 (Japan's version of the Tatula 100). So for 34 bucks I have an extra spool which I plan on throwing some mono on since the stock spool has braid. The mono spool will come on mostly for any bank fishing. Oh God. Im gonna throw up with all this budget crap on a Daiwa. Lol. I still love ya though Rick. It's actually not that much cheaper than a Daiwa Tatula 103H-TW which is 44 bucks. + shipping. But it's a lighter spool. 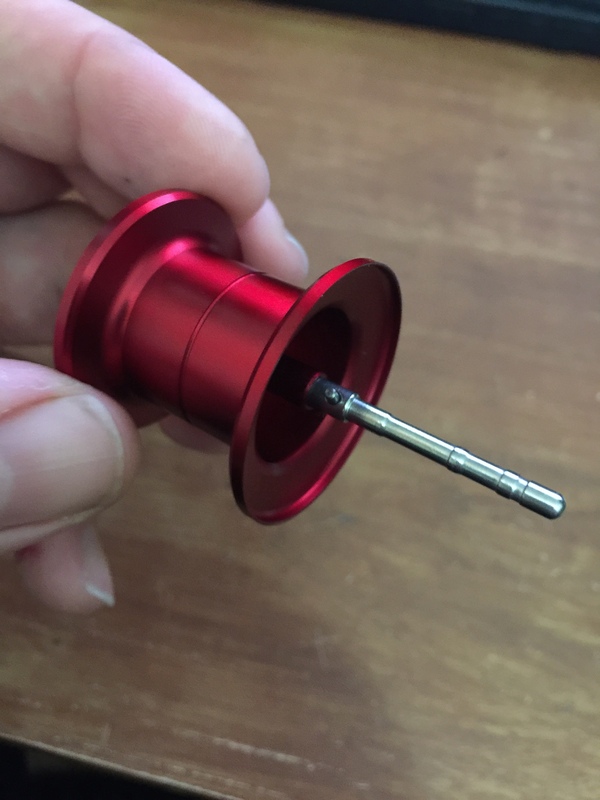 Oh and there's another diy spool..a long cast spool? Would that be a cheaper sv alternative? 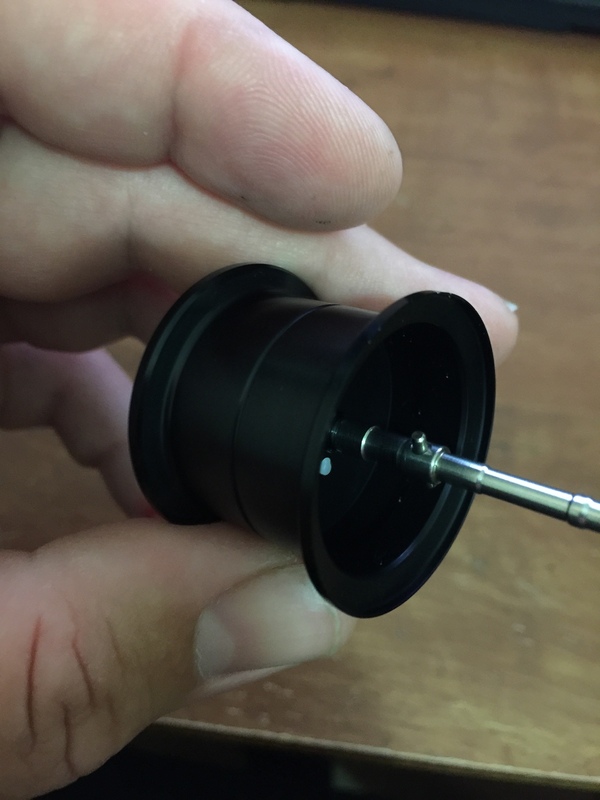 Dinks here is the post I made of the DIY Long Cast spool. Just so you can see the pics I wasn't sure if you had seen this post yet. The long cast spool was 34 bucks. Yes you're right..but will it end there..? End? There is no end my friend. That I am certain of. So I'd like to update this after using the spool for about 3 hours yesterday. 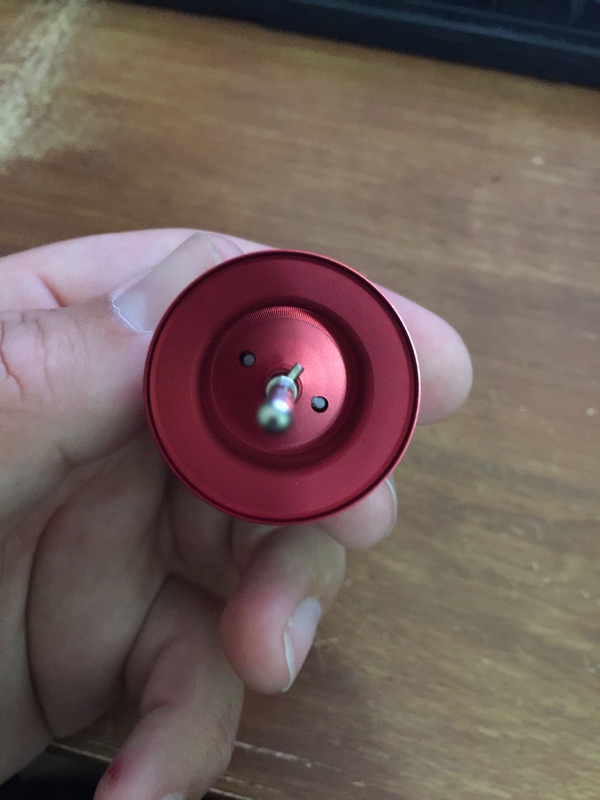 I really liked the long cast DIY spool. Unlike the microcast spool this one is easier to control. The thing actually casts better than the stock Type R spool. It was bombing the 1oz 110 whopper plopper nearly unspooling entirely with mono. So I had to be careful. Then I went lighter, and tied on a 1/8oz bullet weight with a uvibe and this thing launched it effortlessly. Wasn't getting any bites so I downsized some more. Went to a 1/16oz and a uvibe and was casting just as far as I was with the 1/8. Then I tried the 1/16 with a finesse worm and again like a bullet. Went to a fluke with a 1/32 oz weight and had no issue casting that, then a weightless fluke and still no issue casting that. I was getting about the same if not more distance out of this than I would have out of my spinning outfit. The other thing is I had the brakes set to 10 which is higher than I normally would set them to and I had my spool tension tighter than usual too. When I put them down to 8 I needed to feather the spool a little more but got even more distance. I'm sure that with some more fine tuning of the tension and brakes I can get even more distance out of it while still maintaining control of the spool. I also cast into the wind for a while and it performed very well though wind wasn't too bad. Very impressed with this spool. I had a couple of overruns but they weren't bad when I cast without using the thumb just to see how it would work. Usually it worked itself out and caught up with itself. Very light thumbing really worked well. Sounds like the DIY spool is doing its job for you. So far the results with people and those spools seem to be positive ones. I'm going to test it a little more but I might potentially get another one and just replace the type r spool all together. Just keep the Type R around as a back up spool in case the DIY has any issue. 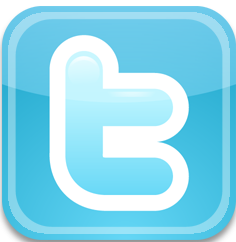 It is doing its job, very impressed. I have two. One i use the other I don't. 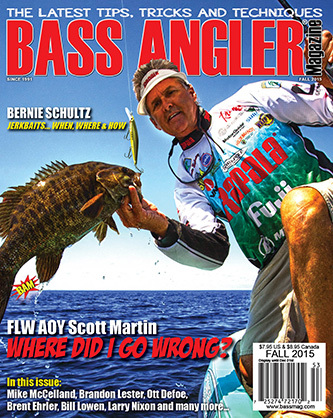 The only downside is there tends to be a gap between the spool and the frame when you throw lighter baits requiring less tension on the spool. Noticed it on the T3. I switched from the ned rig to a jig and the issue went away. Not a deal breaker just something I did notice. Downtown, I haven't seen any gaps on any of the Tatula ones I have. I have the one for the Type R and also one for the CT. The Long Cast seem to fit just fine inside the reel. No gaps, no issues so far. I am going to be testing the long cast one for my CT today hopefully if the weather holds up later. I also have a "Microcast" which is super shallow and that one also has no gap. As far as I can tell they have done a fantastic job with the Tatula DIY spools. The gap wasn't that visual at first. I was throwing 10lb braid with a ned rig when just about every cast was nesting. Well it was actually the line getting caught between the frame and spool. I was throwing an 1/8oz Jig head so maybe the light tension. Either way, I took some line off and it works fine. I have that reel to my wife as it casts so easily for her. I like the spools so don't want anyone to think that I don't. Just an issue that I had. I see. 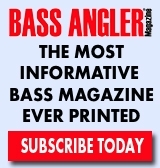 Do you have the microcast which is the super shallow one or the long cast? 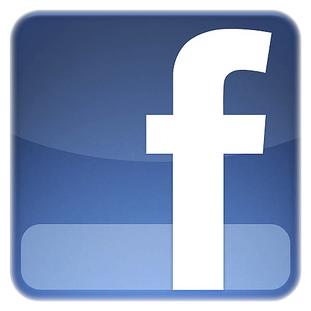 I don't use line that light so maybe that is why I haven't found it to be an issue. One thing is for sure, I do have to set my brakes at a higher setting on these spools and the tension a little tighter because they cast so far but the spool turns so fast it is easier to birds nest. Rick did you upgrade your casting bearings? Would upgrading casting bearings affect the ability to throw light lures on this spool? How light you looking to throw? I have some small 1/8 spinnerbait from bomber that I can only throw with my spinning reel. I feel I take up a lot of time setting up and managing multiple setups whereas I would like to just take my baitcaster and travel rod and swap out spools as I need to. Yes my reel has ZR Bearings. 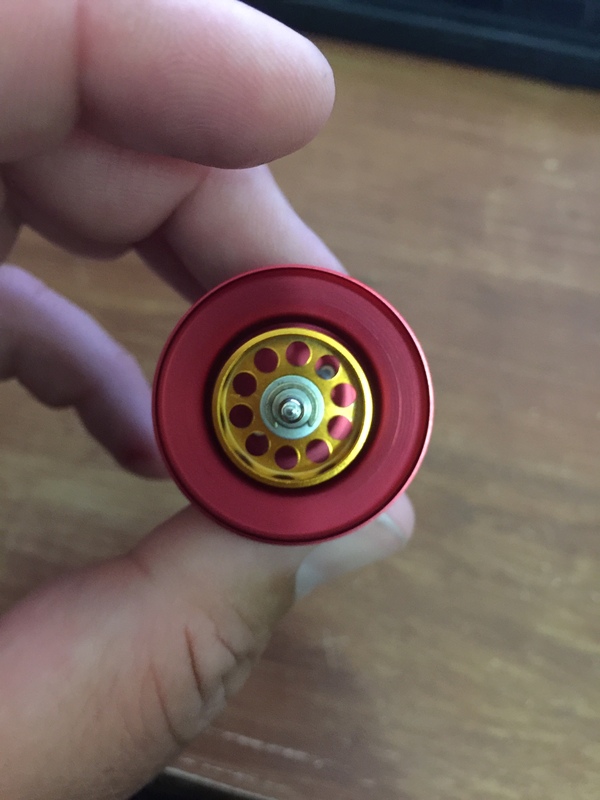 So my comparison is based on my stock spool with the bearing upgrade compared to the DIY Long Cast (and make sure you get the long cast and not the microcast) with the upgraded bearings. I would suspect without the bearing upgrade, you would still get a longer cast out of the DIY spool than the stock spool.